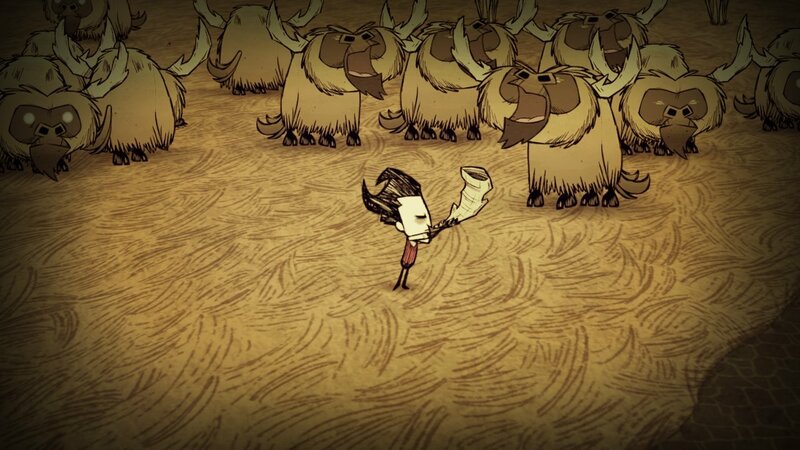 Don’t Starve: Giant Edition is an uncompromising wilderness survival game full of science and magic. You play as Wilson, an intrepid Gentleman Scientist who has been trapped by a demon and transported to a mysterious wilderness world. Wilson must learn to exploit his environment and its inhabitants if he ever hopes to escape and find his way back home. Enter a strange and unexplored world full of strange creatures, dangers, and surprises. Gather resources to craft items and structures that match your survival style. Play your way as you unravel the mysteries of this strange land.